Very big map, perfect for Big Bud DLC! 1. 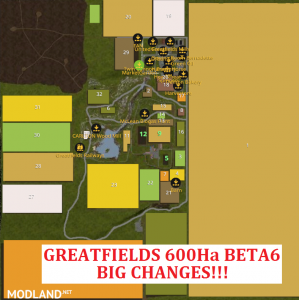 Fields 0.6Ha - 600Ha! 4. 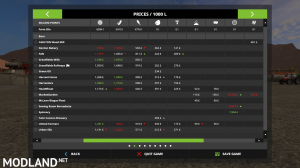 Changed economy (Varied prices and demands... For example "MarketGarden" - Very high prices, low demand (price drop after 50 000l) and limited opening time (8AM-8PM), "Green Oil" - Lower prices, very big demand (3 000 000l) and fast price reset. 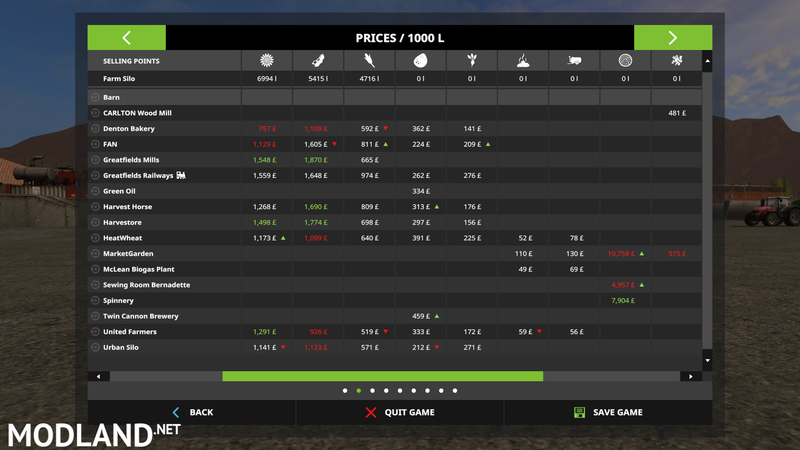 IF YOU HAVE PROBLEM WITH BUYING THIS FIELD, JUST MOVE AWAY FROM BUYPOINT, THEN BACK AND AGAIN PRESS "R" BUTTON. I used a lot of downloaded objects. In final version, I'll add full list of authors. @Rob - so I have no idea whats is wrong. But only on field 1 is that problem? @uh oh - Now my hope is dead... I even changed base of map. But feeze or just is 00:00 on the clock, and you can only walk? 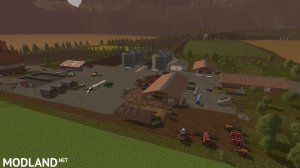 If you have this problem try this: IF YOU HAVE PROBLEM WITH BUYING THIS FIELD, JUST MOVE AWAY FROM BUYPOINT, THEN BACK AND AGAIN PRESS "R" BUTTON. A very impressive and well designed map - thank you... I've not explored / worked all of this map yet.. but I'm very excited with all the things I have tried. No issues so far! :) I really like all the working features and the layout... I initially thought the birds eye view looked too formal / regimented for my tastes... but on the ground, it's not noticeable and set out really well with a lot of thought! 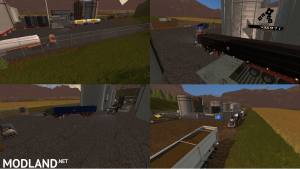 I love the big flat open spaces for turning trucks and machinery and for setting large placeable buildings! This could well be one of my top 3 maps! Please keep up the great work and thanks again for all your hard work! Maybe a suggestion... What if you split field 1into 2 fields, right down the middle with a dirt road and some grass edges going through there. That way, those players who want to, can join the fields to create 1 large 600ha field. I think it could sort out both the Courseplay and buying issue by having 2x 300ha fields to begin with; instead of 1x 600ha field which seams to bug some people. This is just a suggestion. I don't want to tell you how to make your map. I think it is a fantastic effort so far. I am just thinking of things that could work to finally get this great map into a release stage. E.g. 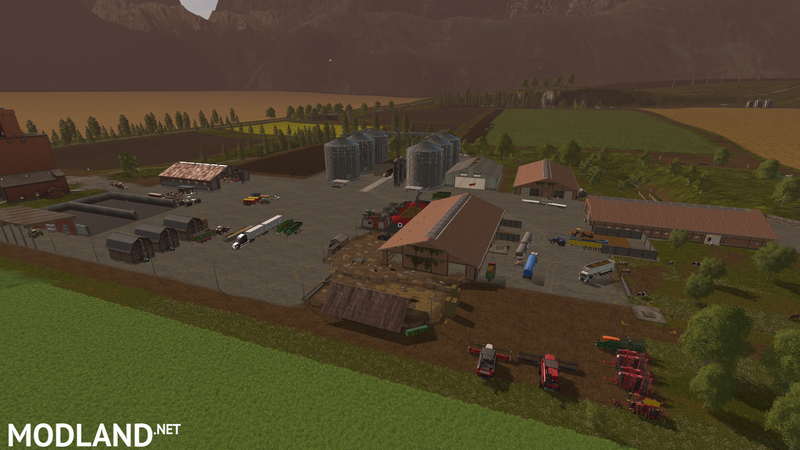 I often join adjacent fields wherever I can, to increase my farm before looking into buying much bigger fields. And quite often Joining a few smaller fields can yield quite a large field in fairly short time. 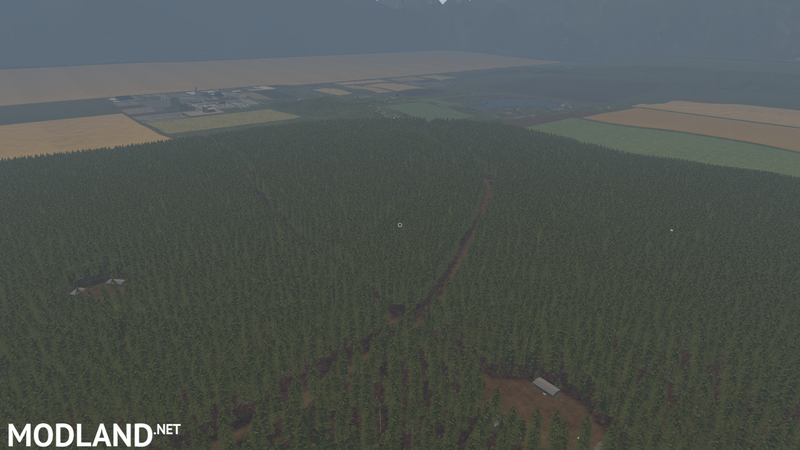 I see some potential on this map for fields 28, 30 and 31in particular (although I have not played this map yet, I just looked at the map - I desperately do want to play it once it's released). Once these three fields a joined it will create quite a large field already! Perhaps you can consider something similar for field no. 1? Not sure what other players will think of it, but I think it's something that can help and with some joining of fields, players can still have the entire Field 1 (field 1a +field 1b) without running in to buy problems, I'd hope. Sorry, I am talking a lot here now... Still thinking as I'm typing. First of all, I am thinking of a Horizontal (East - West) Split of field 1. (please not vertical, lol). And even if you split field 1into 4 fields. It's still 150ha per field, which is pretty huge by any measure... Easy enough for players to join fields if they still want the full 600ha I'd say. Just thinking out loud, OK, I'll stop now. Can't wait to see when the release will be :-) Thanks again for this massive effort! Thank you BrabusEV12... I understand your concern and respect it fully. 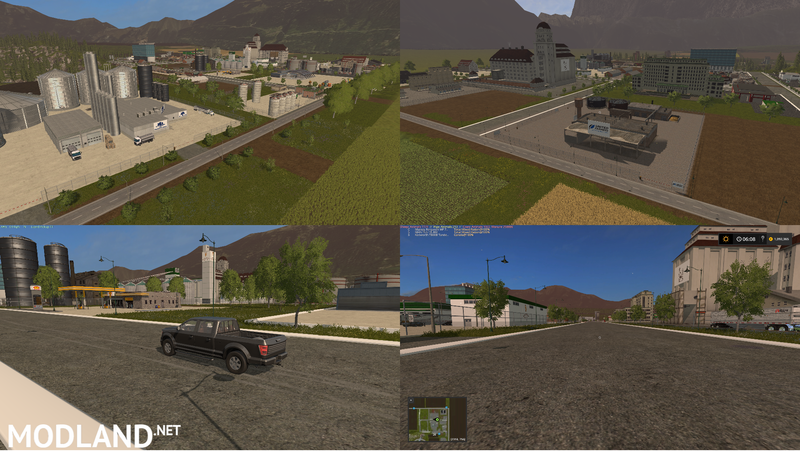 Wishing you all the best to getting this map to a final release soon. I'll keep my eyes open and follow the progress. God Bless! Swift, go to store and go to misc. and buy the roller you can cut field 1, down into separate fields yourself. 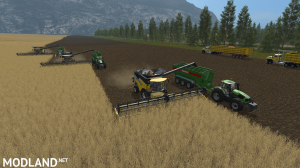 It will put grass, in areas you want to make to separate the fields. I have been playing this Map. 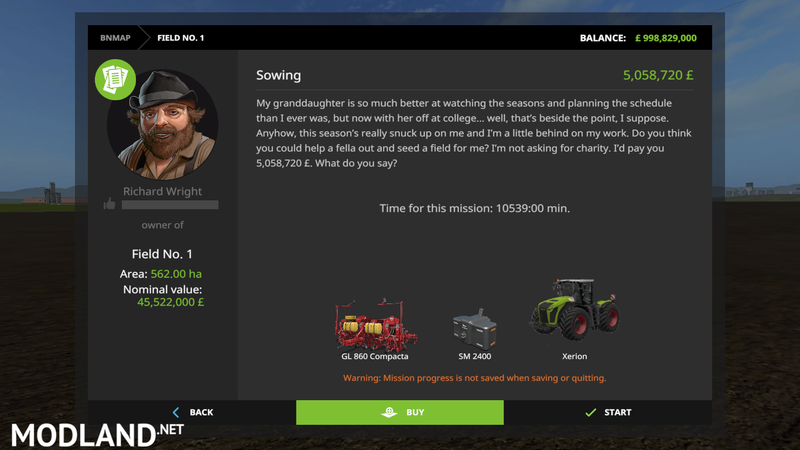 I got field 1 harvested, only took 10 hrs lol. 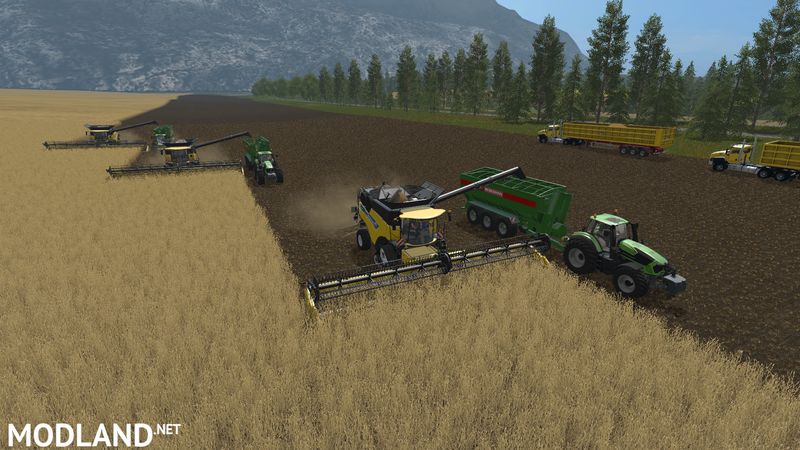 now I got 10 tractors with 10 krone loading wagons picking up straw swath (each holds 71,500 ltrs). This will take days. This is the best map I have played yet ! keep up the great work !!!! @JD - Why? Sharemods is easy and fast. Sharemods is horrendous(virus prone) and slow... I guess it depends in which part of the world you live. Modland works much better for me too. plus mods on from Modland pass my virus check every time while Sharemods seldom does. @GhostDC - I hear you, but my idea was to make purchasing "Field 1" easier. To do what you suggest would mean I have to buy Field 1 first anyway. However, this seems to be a problem on some Machines possibly due to the sheer size of Field 1. Hence the suggestion to split it up into smaller fields, then buy the fields one after the other. 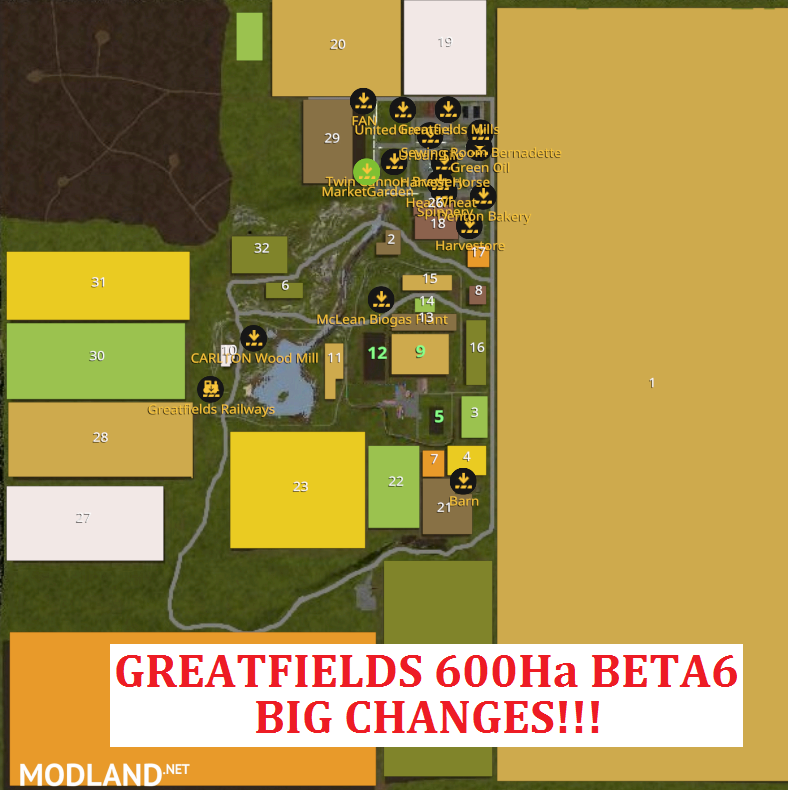 For those who then want that illustrious 600ha field, they can then just 'stitch' it together using a plow or ripper or whatever else will do it, to 'create' that massive "Field 1". But I understand BrabusEV12's concern and I have no quarrel. You've done a great job on this map so far. Keep it up. @BrabusEV12. I have gotten viruses from sharemods. But you have uploaded all the other versions to Modland so why cant you do this one also??? Its my favorite map and the only map i play right now. If you will please upload to modland. Do you also do any tractors or machinery , ect??? @gege45 - Not yet. Only ond gold nugget... Maybe in the future I'll add... Now I working on traffic. And maybe I'll change railroad. 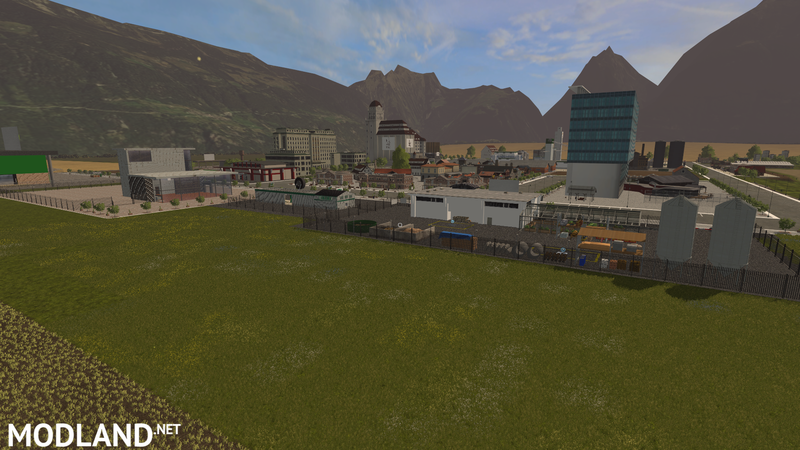 Please remove the streetlamps from the corners of field 29 in next release. Are there going to be more updates? Hi BrabusEV12, when will the final version be released and will it be here on modland? First off... love the map! It's a ton of fun to play. On field 14 I have a problem every time I'm seeding it. Northwest corner of the field, every time my sower (when using a hired helper) starts the last or second last row and it gets about 25 feet into the field, stops, and begins to turn around as if it hit the end of the field. Also, I can't seem to find a place to unload my grass. I'm looking for the typical big concrete structure that, once filled/compacted to a certain percentage you can cover it and it'll turn into silage. All the big concrete "bins" that I've found say they're for "chaff". Any suggestions anyone? Thanks! Field 16 has some absolutely helper-breaking terrain contours in it. If those could be smoothed about a bit in upcoming versions that would be very helpful. Right now it causes many vehicles to stop and the helpers to declare they're finished working that field when they hit those areas. Darn it.. I forgot to add that the back gate to the cow pasture area is open with no apparent way to close it. The cows are wandering the countryside. I even tried downloading a fencing mod and placing it in the opening, the cows go right through it. 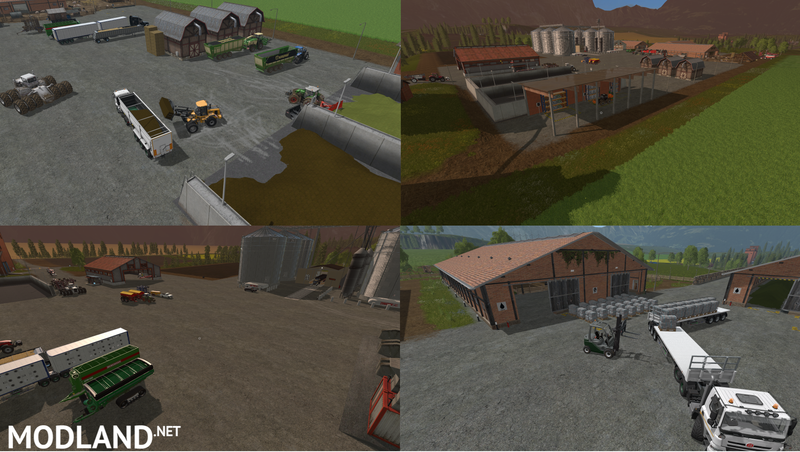 No milk tanks are seen, and silage storage tower flows down. 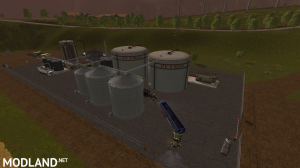 Another thing I've noticed is that when I put the sugar beets into the "Farm Silo" (just behind the big concrete chaff bins by the farm) they disappear. Currently I should have about 350,000 of sugar beets in that silo. They were there last time I played, but once I quit the game they seem to always disappear from storage. VERY frustrating. Looks like this project has been abandoned - Was really looking forward to a final release. This is a really great map. Thanks very much for it... look forward to seeing where you go with it in future. One of the best concepts for a map but unfortunately never finished, right? 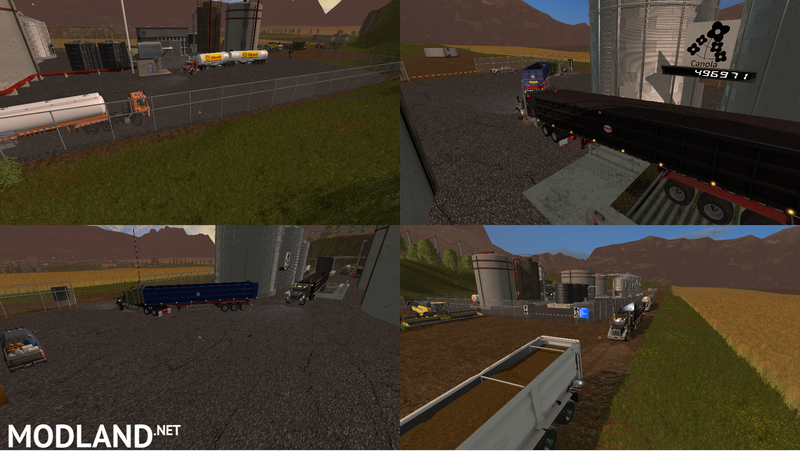 In this version traffic is missing and some small bugs but fully playable. The mix of small, middle, huge fields and the 600 ha field is very good. 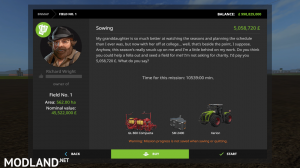 It allows to start with some small vehicles and grow your farm with every harvest. I had a lot of fun with it! Thanks to BrabusEV12! Any chance to get a finished version of this map?